The tumble dryer has long been the saviour of many a washing day. We’re not exactly blessed in this country with what could be described as dependable weather, so on the days the outside conditions have been somewhat inclement (OK then, raining), it’s good to know you can get your laundry dried and ready for the week ahead. After all, there’s nothing worse than damp, slightly mouldy-smelling pants and socks. Tumble dryers are taken for granted now, but they actually chart an interesting arc and development in terms of how technology has impacted society. In fact, it’s over a period of 200 years that tumble dryers have been created, improved upon and perfected to the machines the robust and invaluable appliances they are today. Before the advent of drying systems of any kind, clothing was always hung out and left to dry in the sun – people had to use a washboard vigorously to get the clothes clean, and then hung them on a hard surface or clothes line to dry them out. This method was hard work, labour intensive and time consuming – and this meant washing and drying clothes was something of an all-day marathon. It was French inventor, Pochons, who in 1799 created the ventilator – and it was this initial design that became the early antecedent of the tumble dryer. Essentially a metal drum with holes, clothing was placed inside the drum and dried over an open fire with a hand cranking system. It was a design that worked, but it did suffer the major disadvantage of leaving clothes smelling of smoke and occasionally dusted in soot. Its basic design, however – a ventilator system comprising of a metal drum with holes – remains the foundation of all tumble dryers. American inventor, George Sampson, patented the first name ‘clothes dryer’ in 1892. It took the basics of Pochon’s original design and dramatically improved on them – he came up with the idea of a metal drum with a rack that dried clothes but away from the main source of heat. Replacing the original open fire concept with a stove, it made the dryer not only more efficacious, but also safer. Even as early as 1915, it was possible for consumers to purchase early design tumble dryers for their home. As with any new technology, however, it came at a price, and the luxury of being able to dry your clothes so quickly and conveniently came with a hefty price tag. It wasn’t until 1938 that another inventor, one J. Ross Moore, further refined the tumble dryer’s design that made it possible for the general public to purchase the dryer at a more cost-effective and pocket-friendly price. Called ‘June Day’, it came in gas and electric models. The 1940s saw tumble dryer sales go stratospheric, and it wasn’t long before a battle commenced amongst various manufacturers and brands keen to capitalise on the dryer’s success. For the consumer, this had the advantage of driving the price down even more. The end of World War II saw the baby boomer generation take advantage of even further advances in tumble dryer technology. The mid-to-late 40s saw the addition of temperature controls, timers, exhaust mechanisms and a cool cycle. In the 1950s a dryness sensor was invented, meaning that the dryer would automatically switch off when the clothes were dry - an innovation that saved time and money for consumers. 1965 saw the release of the permanent press cycle. In the mid-70s a microelectronic controller facility was added to tumble dryers - a feature that improved on the dryness sensor that effectively controlled all aspects of the drying cycle, including the length of time and levels of dryness. These features were impressive enough, but, to paraphrase the pop song, things can only get better – and they did. 1983 saw the additional feature of delayed start timers in tumble dryers, meaning people could set their dryers to start at specific times of the day. Saving energy is the 21st century mantra, but in the mid-80s this was a revolutionary way of allowing people to monitor and conserve their energy usage. Since then – and certainly since its humble and basic beginnings – the tumble dryer has transmogrified into a 21st century technological marvel. Further advances have been made to cater for the green culture and modern obsession of energy efficiency, and these developmental leaps mean money and natural resources continue to be saved. The Hydronic Dryer was created by Hydromate Technologies, and uses hydronic power to dry clothes. And LCD touch screens – similar to the control functions of many modern appliances – are a common feature of contemporary tumble dryers that allow you to, for example, pre-set buttons and functions of the drying cycle, including start and stop times. Even one of the most common complaints about previous dryers – the noise – has partially been remedied by new models which have noise reduction features, as well as specially designed suspension systems that reduce the levels of shaking of the machines. 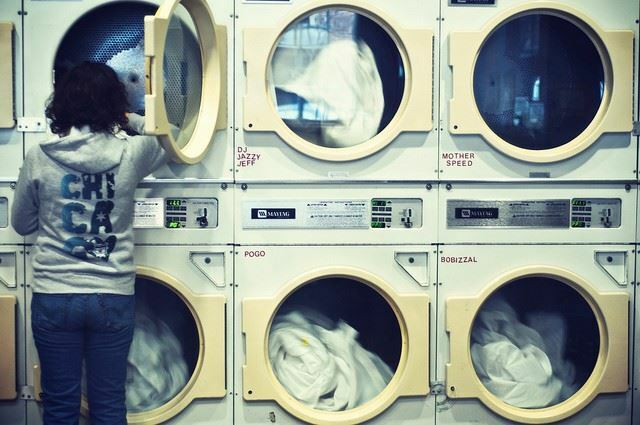 Today’s tumble dryers are robust and reliable, but – like any electrical and technological appliance – are likely to break or need repairing from time to time. If you need any spare parts for your tumble dryer, Ransom Spares will be able to help.